How long will my logo last and when should I think about rebranding? The answer is…there are many answers depending on your brand strategy. In a perfect world we would create a logo and never touch it again, but no one lives in a perfect world. The world is constantly changing and your logo should always represent your brand without confusion. Merger or new acquisition–This action may bring a new logo, even though we’ve seen companies buy others and just keep adding names, however at some point in the acquisitions the decision makers must ask a fundamental question: Are you a “house of brands” or a branded house? A “house of brands” will acquire other companies and keep those brands independent in the parent company portfolio. Google is part of a “house of brands” with the parent company Alphabet. FedEx is a good example of a “branded house.” When FedEx acquires companies they usually become a part of the FedEx brand, as Genco which was purchased in 2015 is now FedEx Supply Chain. Now once a company has acquired multiple brands and worked them into the overall portfolio, they are not likely to ever really re-brand the parent company because of the time they’ve taken to align all the brands. Company shift–When the brand value proposition changes and the messaging platform regarding products and services needs to reflect a new positions for the brand in the marketplace, then yes, a new logo will probably be part of the change. This usually begins with the alignment of the messaging, from the value proposition down to talking points for the brand. Uber is a good example of a brand that expanded their positioning beyond a “single luxury ride share” to a multi-level logistics network. The rebrand broadens their future. Once the messaging is aligned then the new name or logo work can begin. A major company shift in strategy doesn’t happen that often—most companies align with market conditions and only shift strategies as needed through decades of work. Brand spin-off–A company might start a full new brand when it spins-off another company, usually to satisfy a specific market demographic. Hoteliers create multiple brands to get all the customers they can from the least to most expensive. Also if a brand has been damaged by lawsuits or other decisions that hurt the brand beyond repair, inevitably this will result in a new name and logo. Mondelez was spin-off of the grocery portion of Kraft Foods — a new name born out of a specific part of Kraft. How often are brands spinning off new companies? Not yearly. Again, based on market conditions, companies are spinning off new brands once every ten years or so…just not that often. Digital media requirements–Production issues forced many brands to confront the issues of how their logo was actually drawn, especially in the late 90’s when seeing the logo online started to become the norm in marketing. 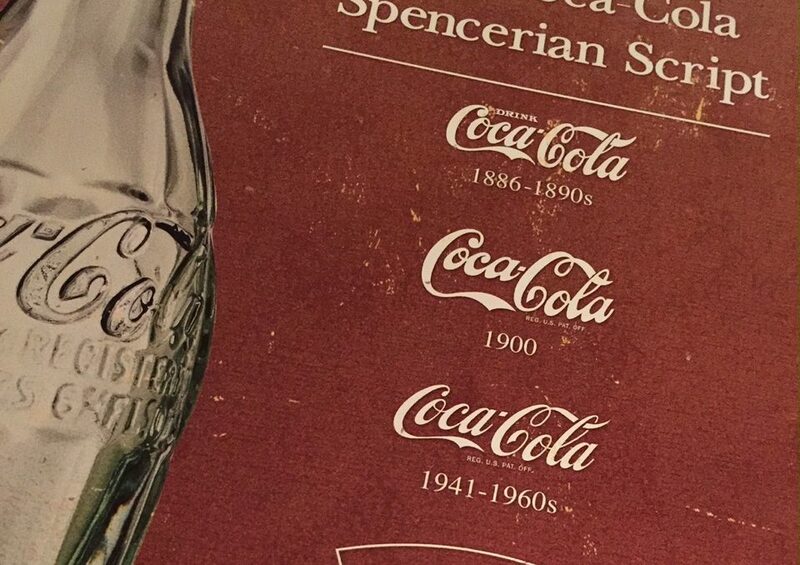 Many brands were not drawn to be reproduced by pixels, and needed to be re-drawn. Some brands used that opportunity to revise the logo entirely. Rebranding, renaming and repositioning a company is a large project—not every brand needs to needs to go through a full rebrand. Some companies need logos to be redrawn or updated in other ways to freshen up or stay current. 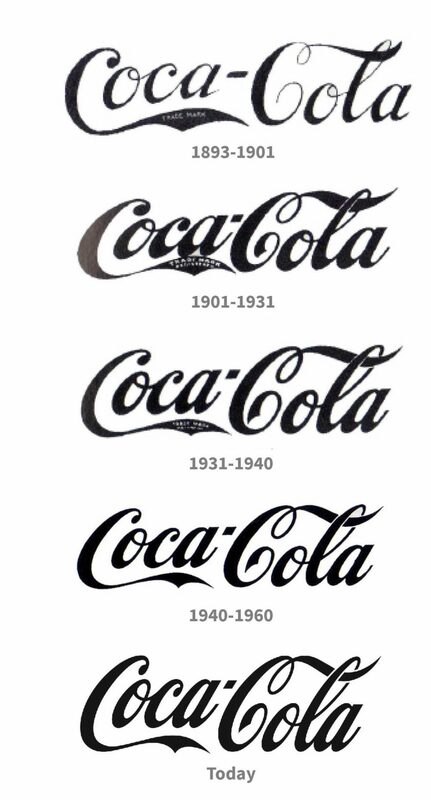 Coca-Cola is a great example of a brand that updated their logo over time, yet it’s the same logo, crafted a bit differently. How often should you re-draw your logo? Not that often. Look at it closely every eight to ten years to evaluate how it’s holding up on various media platforms. Logo rendering is a production issue, not a strategic one. So if the logo doesn’t look good at 34 x 34 px, that just means it needs to be drawn for such a small size. It doesn’t mean the strategy of the company has changed. Brands are constantly being evaluated, whether consciously or sub-consciously, as customers avoid contact with people and interact with screens, kiosks and online personas. Don’t get caught up in making your rebrand a popularity contest. With online access, it’s very easy to solicit opinions and share examples. However you can’t please everyone, and trying to do so will result in a mashup mess that doesn’t align with the original strategy. Get your strategy down, then build the logo assets. Stay the course, it will all work out.